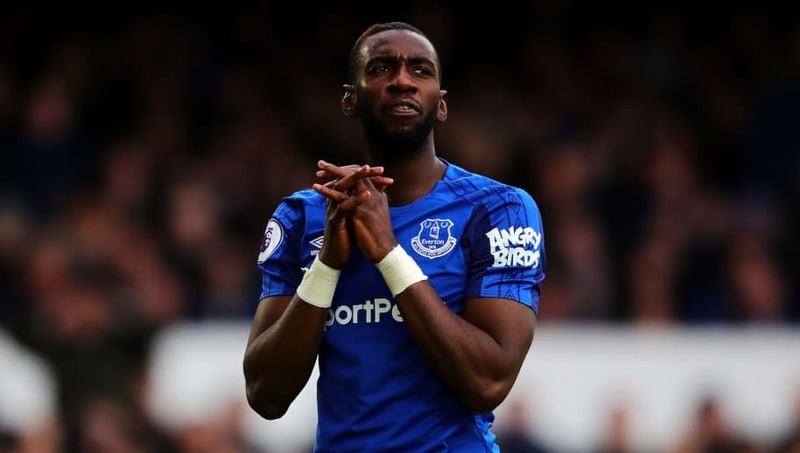 ​Everton winger Yannick Bolasie is believed to have told the club he wants to leave before Thursday's transfer deadline, and is keen to join another Premier League side. The Democratic Republic of the Congo international joined the Toffees from Crystal Palace for a hefty £25m fee in 2016, but has failed to impress since making the move to Goodison Park. After an underwhelming first two seasons, the former Bristol City man was loaned to Aston Villa last summer, before choosing to rejoin Everton earlier in January. According to the ​Daily Mail, Bolasie has realised he has little chance of playing first team football for the club under current boss Marco Silva, and has asked to leave before the transfer window closes later in the week. This could trigger a bidding war from a host of relegation-threatened sides, with ​Newcastle United, ​Burnley and ​Palace all thought to be keen. While he's never offered much in the way of a goalscoring threat, Bolasie's raw pace saw him impress during his spell with the Eagles, and ​Toffees fans hoped to see more of the same energetic play when he arrived in Merseyside. However, after suffering a nightmare knee injury in his first couple of months at the club, he struggled to recover after a 12 month lay off. It is believed that Palace are Bolasie's number one choice, and if ​Roy Hodgson finally agree​s to sell club talisman Wilfried Zaha, it could pave the way for the deal to go through. Certainly, the midfielder enjoyed the best days of his career with the south London side, and a reunion could be well received by the Selhurst Park faithful. Everton have endured a tricky spell of late, with their inconsistent form see them slide rapidly down the ​Premier League table, and suffer the humiliation of being eliminated from the FA Cup by Championship strugglers Millwall on Saturday. With Europa League qualification looking increasingly unlikely, the pressure is now on Silva to turn the Toffees' fortunes around.